This gorgeous embroidered horse towel, is a great gift for the horse lover. 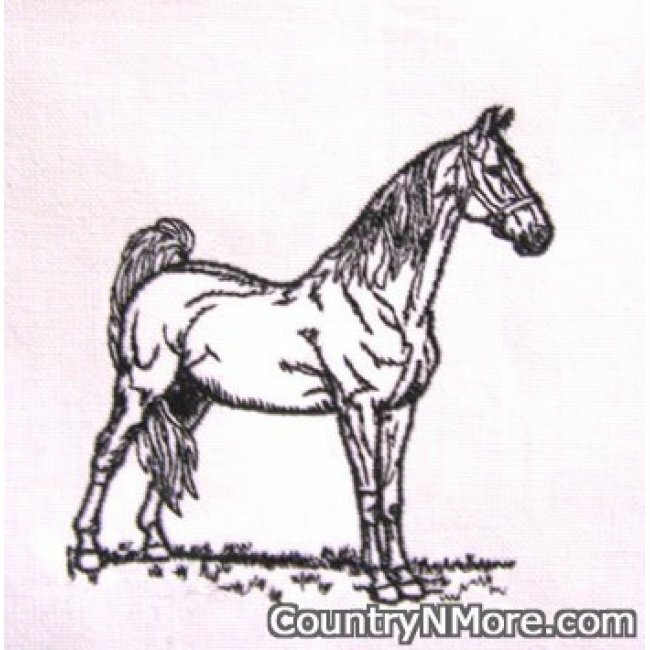 This machine embroidered stallion towel is done in black. The detail on this horse is absolutely amazing. 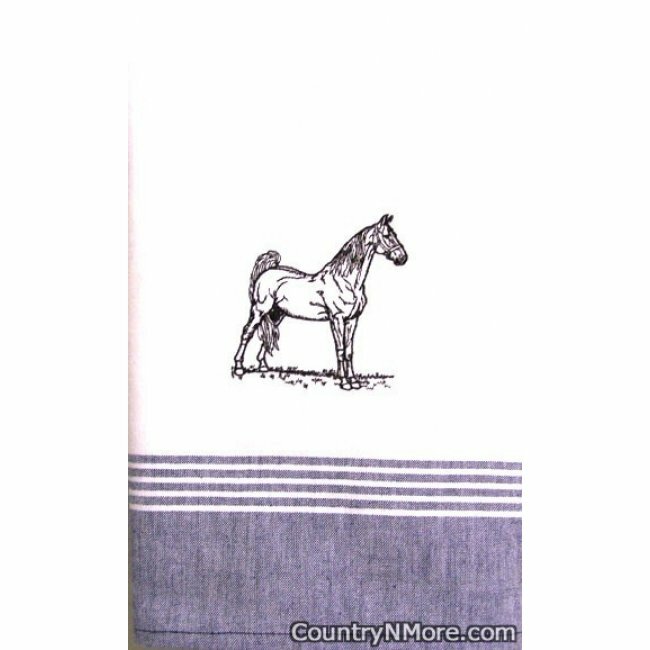 We use high quality Dunroven tea towels. 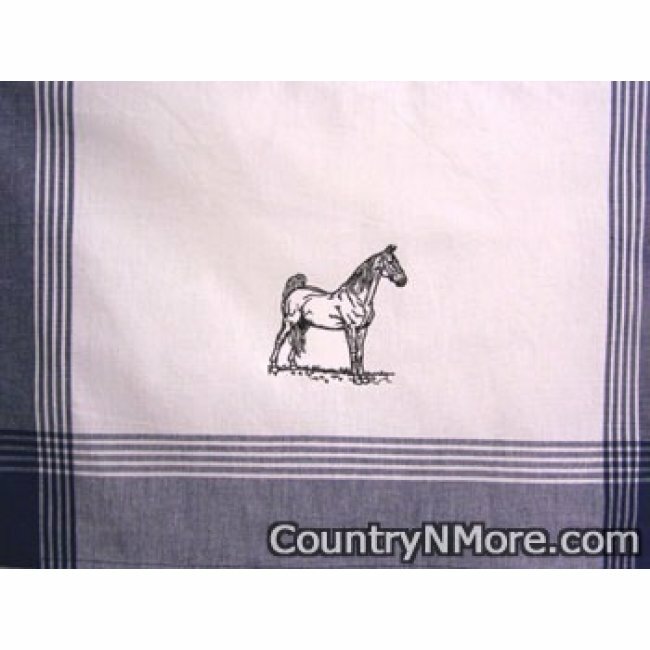 The towel is white with denim blue stripes on the bottom of the towel, and navy blue stripes on the sides. The towel measures 20 inches wide x 28 inches long.